How do you achieve your ambitious goals? Recently my daughter was doing her art homework that involved doing a detailed drawing of a horse’s head taken from a photograph using multiple squares to form one overall grid. The drawing looked very similar to the photograph. It was the small things, the little details that she had captured that made it look so lifelike. 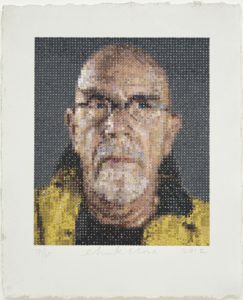 I thought this was an unusual approach until a few weeks later I was listening to Stephen Duneier’s Ted Talk on “How to achieve your most ambitious goals” and I realised that this was exactly the technique that Chuck Close, the world-famous artist applied to his massive-scale portraits. Duneier opened his address by showing the audience how to copy this skill so they too could become world-class artists. His point is that what stands between us and our most ambitious goals has far less to do with possessing some magical skill or talent and much more to do with how we approach problems and make decisions to solve them. 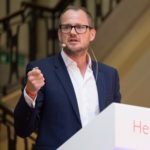 He says that because of the continuous and compounding nature of the millions of decisions we make every day even a marginal improvement on our process and the consistency by which we apply that improvement can have a huge impact on our end results. 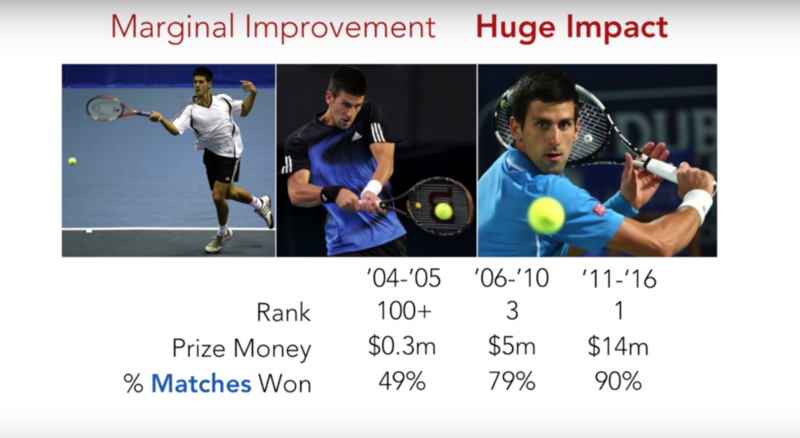 He gives the example of how in just five years Novak Djokovic went from being ranked over 100 to the number 1 player in the world by the marginal improvement of his decision success rate. By increasing this rate from 49% to 55% he went from winning 49% of his matches to 90% of his matches. “to keep trying to be more than you ever thought you could be”. A fundamental part of this is constantly to be learning and developing and focusing on the decisions we can take and we can control to improve our performance at work as well as how we can be better at home. One of the small ways I have applied this to myself is to make sure I try to make the most of “dead time” – so the time when I am standing on a tube for example. I have decided that this in time when I could be reading a book. I set myself the goal last year to read a book a month and I am now over 15 books the wiser. So what small improvements could you make each day to be a better a version of yourself? and that’s because they do.